Do you know the science behind your morning cup of coffee? Caffeine, a drug found in coffee, soda and tea, doesn’t just wake you up. It sets your whole body into a different motion, stimulating the nervous system and constricting blood vessels. Caffeine is safe when ingested in moderation, but excessive consumption can lead to vascular complications like high blood pressure, poor circulation and narrow blood vessels. Upon consumption, caffeine gives you your morning jolt of energy. It achieves this by attaching to your adenosine receptors, which ordinarily dilate your brain’s blood vessels. Instead, your blood vessels constrict, also known as vasoconstriction. When vasoconstriction of the brain occurs, the pituitary gland sounds an alarm and reacts as if in an emergency state. It then releases adrenaline, which leads to increased heart rate. With vasoconstriction comes faster heart rate but slower blood flow. A study by “Human Brain Mapping” found heavy caffeine users experienced “reduced cerebral blood flow by an average of 27 percent.” What this means? Excessive caffeine intake leads to unnecessary stress on your venous system. Because your brain receives an inadequate amount of blood, your whole venous system operates under stress to compensate for the blood flow changes. When stressed, veins are at greater risk of disease. Venous conditions like varicose veins and deep vein thrombosis can occur with vasoconstriction. Narrow blood vessels can prevent sufficient blood flow, causing clotting and inflammation. While abundant caffeine isn’t healthy, you can safely ingest it in moderation. To avoid stressing your venous system, limit coffee intake to 24 ounces per day. If you already suffer from high blood pressure, avoid doses of caffeine altogether. Decaffeinated coffee is a nice substitute for the more potent stuff. 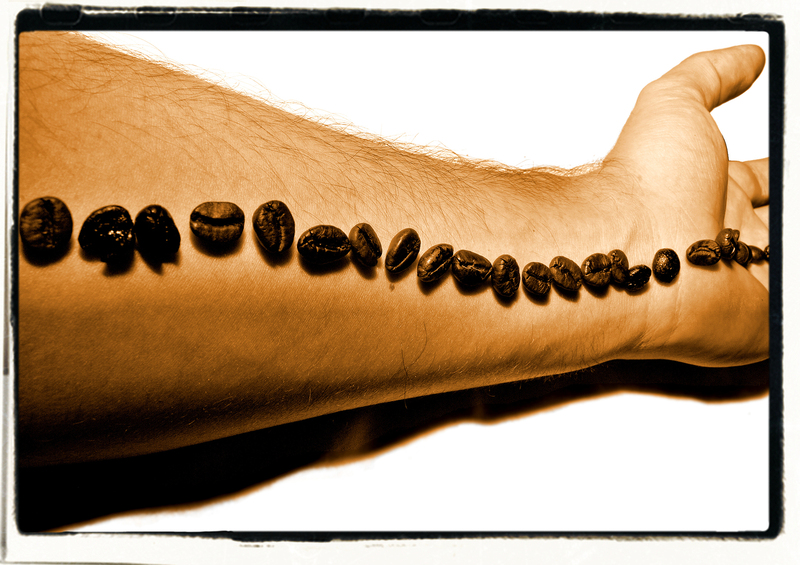 To learn more about caffeine and your veins, contact a medical professional. West Florida Vein Center can answer all of your vein-related questions at 727-712-3233.